Top five pollination tips: What growers can do to improve pollination success. What could replace Manchurian?Many crab apples are available, but most are grown as ornamental trees. Integrated Crop Pollination: A new projects focus is effective pollination by all means necessary. 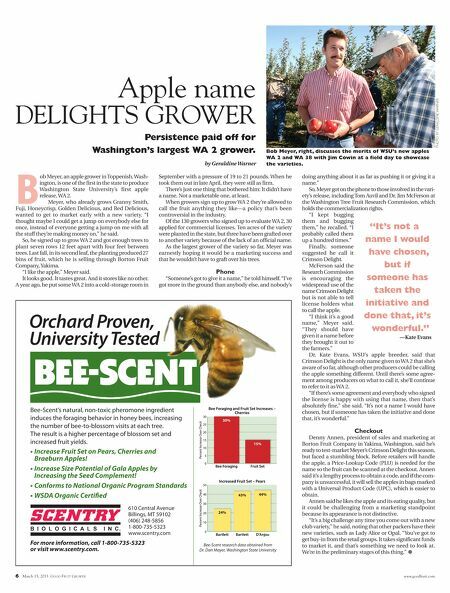 Kill the pathogen: Full coverage at full rates will help prevent apple scab resistance. Working with copper: Copper sprays can cut costs and are effective against bacteria and fungi. Coding moth. Its whats for dinner: Part IV: Enhancing biocontrol. 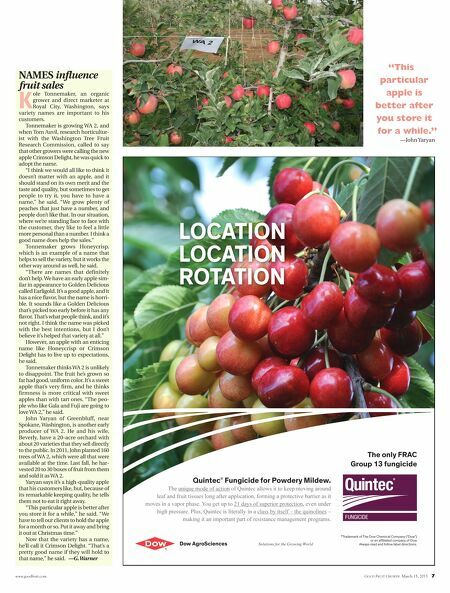 Cherry growers focus on next season. Preventing powdery mildew: Target sprays during the plants most susceptible time.